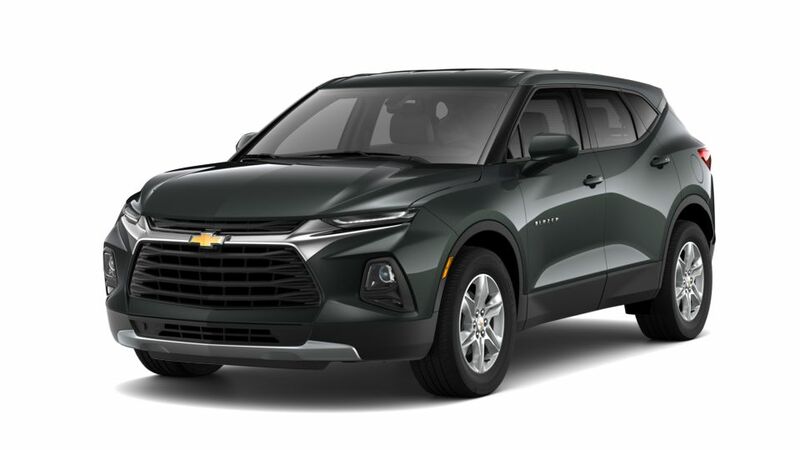 1Private offer to current lessees of eligible 2014 Chevrolet, Buick, GMC or Cadillac vehicles towards the lease of a qualified Chevrolet vehicle. See dealer for details. 2Lease Loyalty Purchase Private offer to eligible 2014 Chevrolet, Buick GMC or Cadillac lessees only toward the purchase only of certain Chevrolet vehicles. See dealer for details. 3Conditional offer. Not available with all other offers. Must own or lease a 2005 or newer non-GM vehicle for a minimum for 30 days. Must take delivery by 4/30/19. See dealer for complete details. 4Private offer to current lessees of eligible 2014 Chevrolet, Buick, GMC or Cadillac vehicles towards the lease of a qualified Chevrolet vehicle. See dealer for details. 1see dealer for details. 2Private offer to current lessees of eligible 2014 Chevrolet, Buick, GMC or Cadillac vehicles towards the lease of a qualified Chevrolet vehicle. See dealer for details. 3Lease Loyalty Purchase Private offer to eligible 2014 Chevrolet, Buick GMC or Cadillac lessees only toward the purchase only of certain Chevrolet vehicles. See dealer for details. 4Conditional offer. Not available with all other offers. Must own or lease a 2005 or newer non-GM vehicle for a minimum for 30 days. Must take delivery by 4/30/19. See dealer for complete details. 5Private offer to current lessees of eligible 2014 Chevrolet, Buick, GMC or Cadillac vehicles towards the lease of a qualified Chevrolet vehicle. See dealer for details. 1Excludes L model. Not available with special financing, lease and some other offers. See participating dealer for details. 2see dealer for details. 3Excludes L model. Not available with special financing, lease and some other offers. See participating dealer for details. 4Private offer to current lessees of eligible 2014 Chevrolet, Buick, GMC or Cadillac vehicles towards the lease of a qualified Chevrolet vehicle. See dealer for details. 5Conditional offer. Not available with all other offers. Stackable % Cash Back for customers who have owned or leased a non-GM vehicle for a minimum for 30 days. See dealer for details. 6Lease Loyalty Purchase Private offer to eligible 2014 Chevrolet, Buick GMC or Cadillac lessees only toward the purchase only of certain Chevrolet vehicles. See dealer for details. 7Lease Loyalty Purchase Private offer to eligible 2014 Chevrolet, Buick GMC or Cadillac lessees only toward the purchase only of certain Chevrolet vehicles. See dealer for details. 8Conditional offer. Not available with all other offers. Stackable % Cash Back for customers who have owned or leased a 2005 or newer non-GM vehicle for a minimum for 30 days. Must take delivery by 4/30/19. See dealer for complete details. 9Must qualify through GM Financial. Not available with special finance, lease, or some other offers. Take delivery by 04-30-2019. See dealer for details. 10Excludes L models. Monthly payment is $13.89 for every $1,000 you finance. Example down payment: 5.2%. Must finance with GM Financial. Some customers may not qualify. Not available with lease and some other offers. Take new retail delivery by 4/30/2019. See dealer for details. 1Excludes L model. Not available with special financing, lease and some other offers. See participating dealer for details. 2Excludes L model. Not available with special financing, lease and some other offers. See participating dealer for details. 3Private offer to current lessees of eligible 2014 Chevrolet, Buick, GMC or Cadillac vehicles towards the lease of a qualified Chevrolet vehicle. See dealer for details. 4Conditional offer. Not available with all other offers. Stackable % Cash Back for customers who have owned or leased a non-GM vehicle for a minimum for 30 days. See dealer for details. 5Lease Loyalty Purchase Private offer to eligible 2014 Chevrolet, Buick GMC or Cadillac lessees only toward the purchase only of certain Chevrolet vehicles. See dealer for details. 6Lease Loyalty Purchase Private offer to eligible 2014 Chevrolet, Buick GMC or Cadillac lessees only toward the purchase only of certain Chevrolet vehicles. See dealer for details. 7Conditional offer. Not available with all other offers. Stackable % Cash Back for customers who have owned or leased a 2005 or newer non-GM vehicle for a minimum for 30 days. Must take delivery by 4/30/19. See dealer for complete details. 8Must qualify through GM Financial. Not available with special finance, lease, or some other offers. Take delivery by 04-30-2019. See dealer for details. 9Excludes L models. Monthly payment is $13.89 for every $1,000 you finance. Example down payment: 5.2%. Must finance with GM Financial. Some customers may not qualify. Not available with lease and some other offers. Take new retail delivery by 4/30/2019. See dealer for details. 1see dealer for details 2see dealer for details. 3Not available with special finance or lease offers. Take delivery by 04-30-2019. 4Private offer to current lessees of eligible 2014 Chevrolet, Buick, GMC or Cadillac vehicles towards the lease of a qualified Chevrolet vehicle. See dealer for details. 5Conditional offer. Not available with all other offers. Stackable % Cash Back for customers who have owned or leased a non-GM vehicle for a minimum for 30 days. See dealer for details. 6Lease Loyalty Purchase Private offer to eligible 2014 Chevrolet, Buick GMC or Cadillac lessees only toward the purchase only of certain Chevrolet vehicles. See dealer for details. 7Lease Loyalty Purchase Private offer to eligible 2014 Chevrolet, Buick GMC or Cadillac lessees only toward the purchase only of certain Chevrolet vehicles. See dealer for details. 8Conditional offer. Not available with all other offers. Stackable % Cash Back for customers who have owned or leased a 2005 or newer non-GM vehicle for a minimum for 30 days. Must take delivery by 4/30/19. See dealer for complete details. 9Must qualify through GM Financial. Not available with special finance, lease, or some other offers. Take delivery by 04-30-2019. See dealer for details. 10Excludes L models. Monthly payment is $13.89 for every $1,000 you finance. Example down payment: 5.2%. Must finance with GM Financial. Some customers may not qualify. Not available with lease and some other offers. Take new retail delivery by 4/30/2019. See dealer for details. 1see dealer for details. 2Not available with special finance or lease offers. Take delivery by 04-30-2019. 3Private offer to current lessees of eligible 2014 Chevrolet, Buick, GMC or Cadillac vehicles towards the lease of a qualified Chevrolet vehicle. See dealer for details. 4Conditional offer. Not available with all other offers. Stackable % Cash Back for customers who have owned or leased a non-GM vehicle for a minimum for 30 days. See dealer for details. 5Lease Loyalty Purchase Private offer to eligible 2014 Chevrolet, Buick GMC or Cadillac lessees only toward the purchase only of certain Chevrolet vehicles. See dealer for details. 6Lease Loyalty Purchase Private offer to eligible 2014 Chevrolet, Buick GMC or Cadillac lessees only toward the purchase only of certain Chevrolet vehicles. See dealer for details. 7Conditional offer. Not available with all other offers. Stackable % Cash Back for customers who have owned or leased a 2005 or newer non-GM vehicle for a minimum for 30 days. Must take delivery by 4/30/19. See dealer for complete details. 8Must qualify through GM Financial. Not available with special finance, lease, or some other offers. Take delivery by 04-30-2019. See dealer for details. 9Excludes L models. Monthly payment is $13.89 for every $1,000 you finance. Example down payment: 5.2%. Must finance with GM Financial. Some customers may not qualify. Not available with lease and some other offers. Take new retail delivery by 4/30/2019. See dealer for details.